Maxine Clark, 69, founded the Company in 1997 and served as our Chief Executive Bear until June 2013. She was our President from our inception in 1997 to April 2004, and served as Chairman of our Board of Directors from April 2000 until November 2011. She currently serves as Chief Executive Officer of the Clark-Fox Family Foundation. 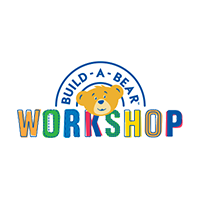 Prior to founding Build-A-Bear Workshop, Ms. Clark was the President of Payless ShoeSource, Inc. from 1992 until 1996. Before joining Payless, Ms. Clark spent over 19 years in various divisions of The May Department Stores Company in areas including merchandise development, merchandise planning, merchandise research, marketing and product development. Ms. Clark serves on the Board of Directors of Foot Locker, Inc., and formerly served on the Board of Directors of J. C. Penney Company, Inc., both publicly traded retail companies. She formerly served on the Board of Directors of The Gymboree Corporation, a formerly publicly reporting retail company, and she currently serves on the Board of Advisors of Lewis & Clark Ventures, a St. Louis-based private equity firm. Ms. Clark is a member of the Board of Trustees and the Executive Committee of Washington University in St. Louis, serves on the national Board of Directors of the Public Broadcasting Service, and serves on the Boards of Directors of Barnes-Jewish Hospital in St. Louis, the Goldfarb School of Nursing at Barnes-Jewish College, the St. Louis Regional Educational and Public Television Commission (KETC/Channel 9 Public Television). She is also a Managing Partner of Prosper Women’s Capital, a fund created to invest in women-owned businesses in the St. Louis area. Ms. Clark is Past Chair of Teach for America-St. Louis and a past member of its national Board of Trustees. She is a past trustee of the International Council of Shopping Centers and a member of the Committee of 200, an organization for women entrepreneurs around the world. Ms. Clark has a bachelor’s degree from the University of Georgia, an Honorary Doctor of Laws from Saint Louis University and an honorary Doctor of Humane Letters—Education from the University of Missouri, St. Louis. Ms. Clark has extensive leadership and executive experience in the retail industry, which includes founding and leading Build-A-Bear Workshop. She has nearly 40 years of experience in the areas of marketing, merchandising, store operations, digital technology, entertainment, strategic planning, and real estate. With this experience, along with her service on the Boards of Directors of other publicly traded retail companies, she brings to the Build-A-Bear Workshop Board of Directors highly relevant and valuable insights and perspectives on all aspects of the Company’s retail and entertainment business.